I can’t believe it’s already time to start the fall crops. It seems like it was just New Year’s last week. I haven’t even harvested all my long season cabbage yet either! I’ve never been successful at growing Brussels sprouts. They would grow fast at first but then as the season wore on they would slow down. The sprouts started out well but before they got to a decent size they would get leafy and then covered in aphids. After talking with some friends that grow Brussels sprouts successfully I realized that our early September planting date was much too late. This year I’ve decided to push all of my fall crops up into July to see if that helps give us better luck with Brussels sprouts. I also want to push up the cabbage, cauliflower, broccoli, parsnips and carrots to this month as well. 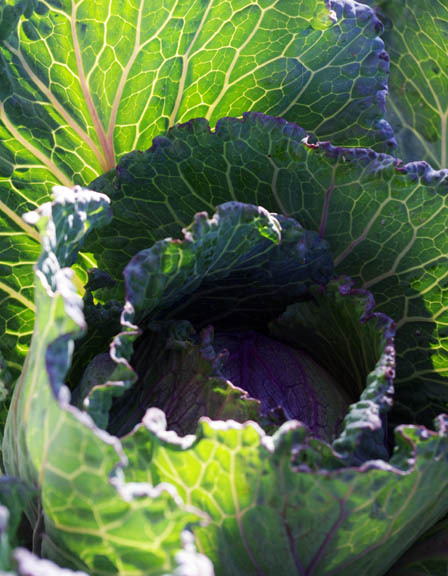 The main reason for me to push up all those other crops is so we have a larger harvest in the late fall and early winter rather than having to wait until late winter, spring and sometimes summer (in the case of the late season cabbage) to harvest. In addition I’m planning on getting better a succession planting – something I’ve always known I should do but never actually did. I’ll also be planting early, mid and late season varieties of the Brassica crops to extend those harvests as well. My friend, Brandy, and I sat down and worked out a planting calendar for the upcoming season and beyond. If you’re interested in our planting calendar you can check it out here. Just remember that we’re in USDA Zone 9b and Sunset Zone 17. Also, the calendar is loosely based on moon phases for most of the schedule and is for starting seeds. I’m starting my winter garden much earlier than I usually do, too! Are these your planting dates for seeds or starts? These are for seeds. We plant to much for starts to be cost effective. Yay! Thank you for doing all the work for me! I’ve been wanting to get better at succession planting as well and spreading out the harvest. Are these for sowing inside or are you direct-seeding any of these crops? I definitely need to start these crops sooner than I have previously, so this is super helpful! It kind of depends on the crops. I generally don’t direct sow brassicas, lettuce, or spinach because of pests, but I don’t start them inside either. I start them in containers outside – somewhere safe – and then transplant when they are big enough. Carrots I do direct sow though. Thanks for the reminder and the cool chart! Planting time always comes up quicker than I think it will.